KATHMANDU, Nepal -- Archeologists in Nepal say they have discovered traces of a wooden structure dating from the sixth century B.C. that they believe is the world’s oldest Buddhist shrine. 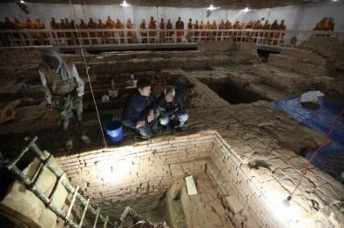 Kosh Prasad Acharya, who teamed with archeologists from Britain’s Durham University, said Tuesday that the structure was unearthed inside the sacred Mayadevi Temple in Lumbini. Buddha, also known as Siddhartha Gautama, is generally thought to have been born in about the sixth century B.C. at the temple site. The findings were published in the December issue of the journal Antiquity. Acharya said the traces were tested using radiocarbon and luminescence techniques, which found they dated from the sixth century B.C. The archaeological team dug underneath previously known brick structures inside the temple, and experts from Scotland’s University of Sterling examined and collected the samples, he said. The team has been working on the site for the past three years. Previously, a pillar installed by Indian Emperor Ashok with inscriptions dating to the third century B.C. was considered to be the oldest Buddhist structure, Acharya said. 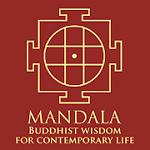 “This finding further strengthens the chronology of Buddha’s life and is major news for the millions of Buddhists around the world,” Acharya said in an interview. “Very little is known about the life of the Buddha, except through textual sources and oral tradition,” Durham University archaeologist Robin Coningham said in a statement. “Now, for the first time, we have an archaeological sequence at Lumbini that shows a building there as early as the sixth century B.C." 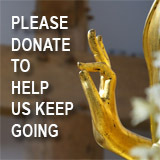 Each year, tens of thousands of Buddhists visit Lumbini, 280 kilometers (175 miles) southwest of Kathmandu. Followers believe Siddhartha, a prince, left his family and kingdom and meditated in the jungles of Nepal and India before achieving enlightenment.